I recently told you about the awesome opportunity we had to participate in the #PintheHalls Program over the holidays from HP and Snapfish. I shared some of the projects we made using HP's Creative Studio in a previous post but now that we have had some time to really use the HP ENVY TouchSmart Ultrabook x4 and the HP Portable Bluetooth Speaker I wanted to share some more of our personal experiences with you. 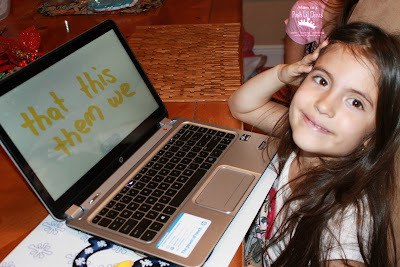 Why are we are loving the HP ENVY TouchSmart Ultrabook x4? The touch screen is so easy to use. It's been a wonderful addition to both our work and play. Not only can the Lil Divas use Fresh Paint to doodle, color and draw but it's been a great tool to use to practice writing, review spelling and sight words and even work on math facts. Both of the Lil Divas have really enjoyed using the Kindle application as well. They get in lots of extra reading time lately simply because it's in a different format and I am loving it. 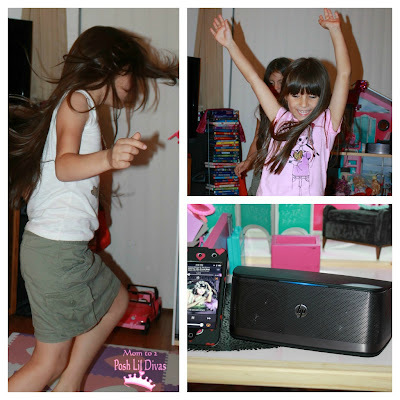 Why is the HP Portable Bluetooth Speaker such a hit? That can be explained in 2 words - Dance Parties! There is nothing the Lil Divas enjoy more than putting on a dance show. The speaker can be taken anywhere and be connected with any bluetooth enabled products so it's so easy to use. Our house has been party central lately and it's just so fun to see the Lil Divas get down and get moving, act silly and just have a good time. I've been able to capture so many wonderful moments lately. To be honest, 2012 was an amazing year for us. I can't wait to make a Snapfish Photo Book so we can enjoy a visual of all the memories forever. Things have been so busy lately, I haven't been able to sit down and make it but I am excited about finally finding some time to sit and make our 2012 memories book. I wanted to let you have an inside peek of the Lil Divas in action with our HP products. Click the video below - you can thank me for the cuteness later. don't these 2 little girls make you smile? and enjoy life in every way. Thank you to HP and Snapfish for adding to their daily joys. 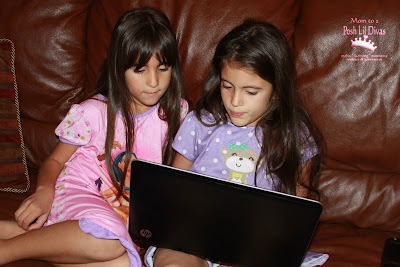 Disclosure - This post was written in conjunction with the HP & Snapfish Pin the Halls Program. I received products to help facilitate the post but all opinions expressed are 100% my own and based on our own personal experiences with the products mentioned. Your experiences and opinions may differ. Such silly beautiful girls. They sure did bring a smile to my face! thanks Brian - they are silly & happy girls. It's a joy!